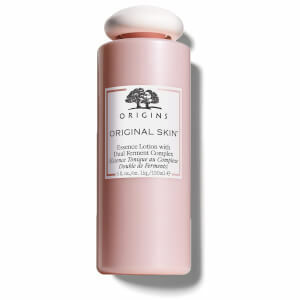 Prime and perfect your complexion with the Original Skin™ Matte Moisturiser from Origins. Harnessing the powers of Pink Rock Rose and Willowherb, the lightweight, quick-absorbing formula delivers long-lasting hydration, whilst minimising the appearance of visible pores and addressing uneven skin tone for a smoother, more refined texture. 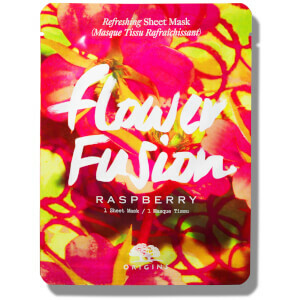 Ideal for wearing alone or creating a flawless makeup base, you can expect a radiant, glowing complexion with enhanced luminosity. Water, Dimethyl Ether, Dimethicone, Silica, Glycerin, Alcohol Denat., Citrus Aurantium Dulcis (Orange) Peel Oil*, Citrus Limon (Lemon) Peel Oil*, Pelargonium Graveolens Flower Oil*, Lavandula Angustifolia (Lavender) Oil*, Amyris Balsamifera Bark Oil*, Citrus Aurantium Bergamia (Bergamot) Fruit Oil*, Eugenia Caryophyllus (Clove) Leaf Oil*, Rosa Damascena Flower Oil*, Eucalyptus Globulus Leaf Oil*, Zingiber Officinale (Ginger) Root Oil*, Mentha Viridis (Spearmint) Leaf Oil*, Limonene, Linalool, Citronellol, Geraniol, Eugenol, Citral, Epilobium Angustifolium Flower\Leaf\Stem Extract, Cistus Incanus Flower/Leaf/Stem Extract, Cucumis Sativus (Cucumber) Fruit Extract, Pyrus Malus (Apple) Fruit Extract, Scutellaria Baicalensis Root Extract, Bambusa Vulgaris (Bamboo) Extract, Pisum Sativum (Pea) Extract, Albizia Julibrissin Bark Extract, Caffeine, Castanea Sativa (Chestnut) Seed Extract, Laminaria Digitata Extract, Arginine, Salicylic Acid, Laminaria Saccharina Extract, Hydrolyzed Jojoba Esters, Sucrose**, Phospholipids, Butylene Glycol, Dimethicone Crosspolymer, Ethylhexylglycerin, Sodium Hyaluronate, Lauryl Peg-9 Polydimethylsiloxyethyl Dimethicone, Dimethicone/Vinyl Dimethicone Crosspolymer, Beeswax\Cera Alba\Cire D'abeille, Caprylyl Glycol, Acrylates/C10-30 Alkyl Acrylate Crosspolymer, Tocopheryl Acetate, Silica Silylate, Galactoarabinan, Tromethamine, Hexylene Glycol, Sodium Polyacrylate, Glucosamine Hcl, Ammonium Acryloyldimethyltaurate/Vp Copolymer, Disodium Edta, Phenoxyethanol, Mica, Titanium Dioxide (Ci 77891), Iron Oxides (Ci 77499), Iron Oxides (Ci 77491), Iron Oxides (Ci 77492). *Essential Oil. **Organic Brown Sugar.